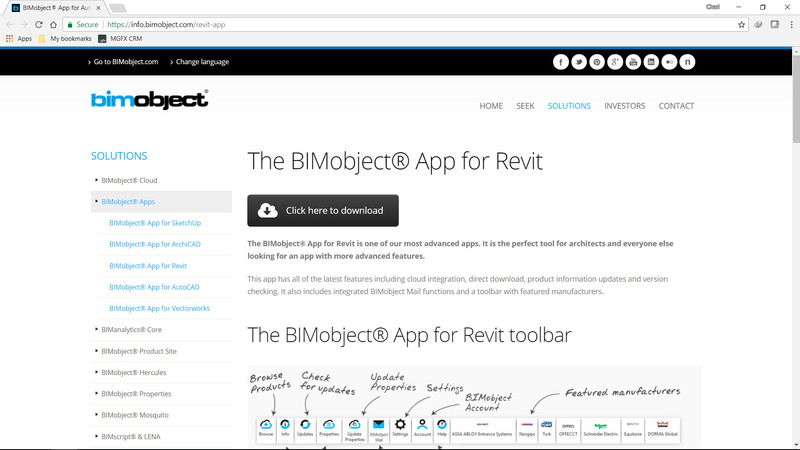 The Swedish company BIMobject (www.bimobject.com ) has been around for a while but in the last couple of years it has been elevated to the premier site for downloading Revit content, in my view. The reason for this, I think, is that Autodesk decided to pass all the content they had on their content site called Autodesk Seek to the BIMobject site. This together with the free marketing has done wonders to the BIMobject cause. 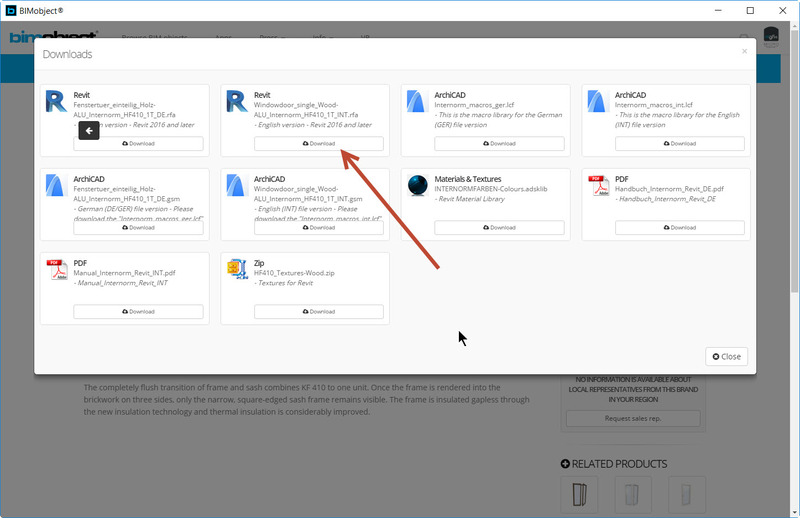 BIMobject also has a Revit add in (downloaded from the Autodesk Revit App Store here) whereby you can search for manufacturer’s content from within Revit itself. 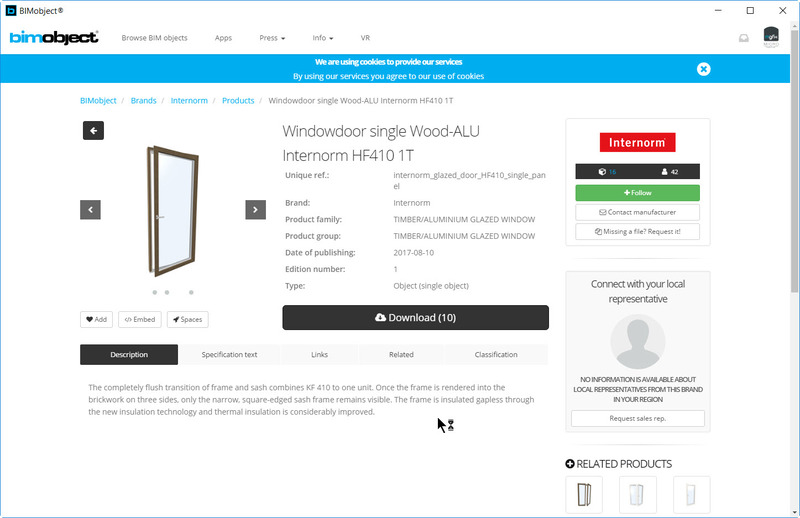 BIMobject not only host’s Revit content but also other vender’s content so many building professionals use this site which in turn draws the manufacturers to have their products published to the site. 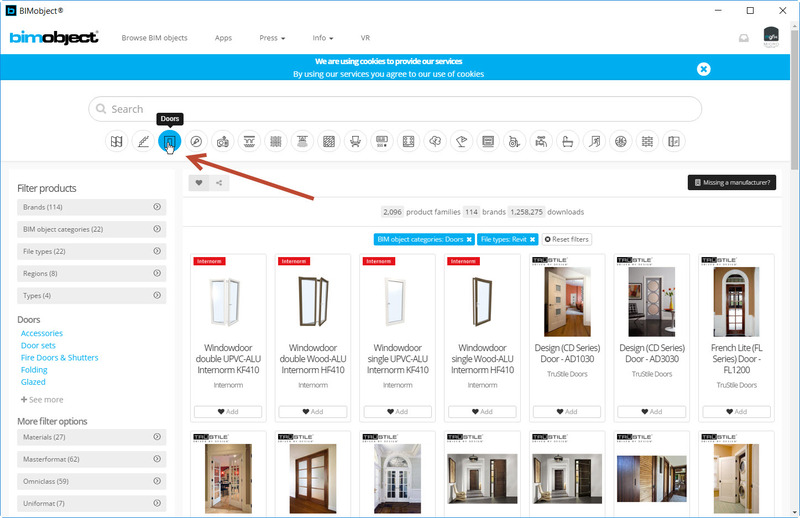 Clicking on Browse button opens up the content browser and you can search for a specific item ot use the various country or object filters to narrow down your search. I used the Door content filter for this example as shown. Clicking on one of the doors opens up some details of the door as shown. 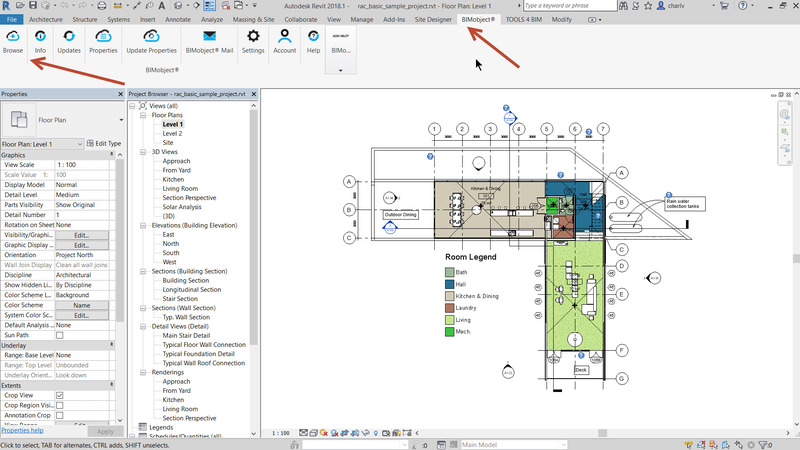 You can then click the download button and select Revit format to download. Once you click on the download button for Revit the system downloads the family. 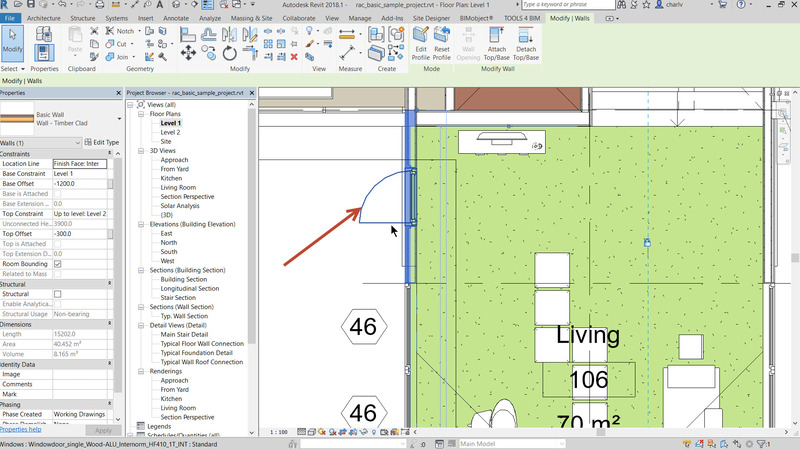 Once downloaded you can insert the door into your plan as shown.